The insurgent candidacies of both Sen. Bernie Sanders and Donald Trump in this year’s presidential campaigns exposed a deep fault line in American economic policy: too few voters today have confidence in the country’s economic stewardship over the past generation. In fact, Americans – by virtue of their support for Sanders and Trump – have issued a direct intellectual challenge to the market-friendly, internationally-open policy model of the past several decades. As wages have stagnated, inequality has grown and technological change and globalization have continued to disrupt Americans’ lives, more people are demanding an economy that generates both wider social participation and broader distribution of its benefits. Unfortunately, the question of how we can improve not only the quantity of economic growth but its quality – i.e., its bottom-line payoff to society in the form of sustained progress in median living standards – has not been the top focus of U.S. economic policy for a very long time. But if policymakers are serious about restoring opportunity and upward mobility to the vast number of Americans who’ve felt left behind by the seismic shifts in our national and global economy, the task of structural economic reform to address this challenge must become absolutely paramount. 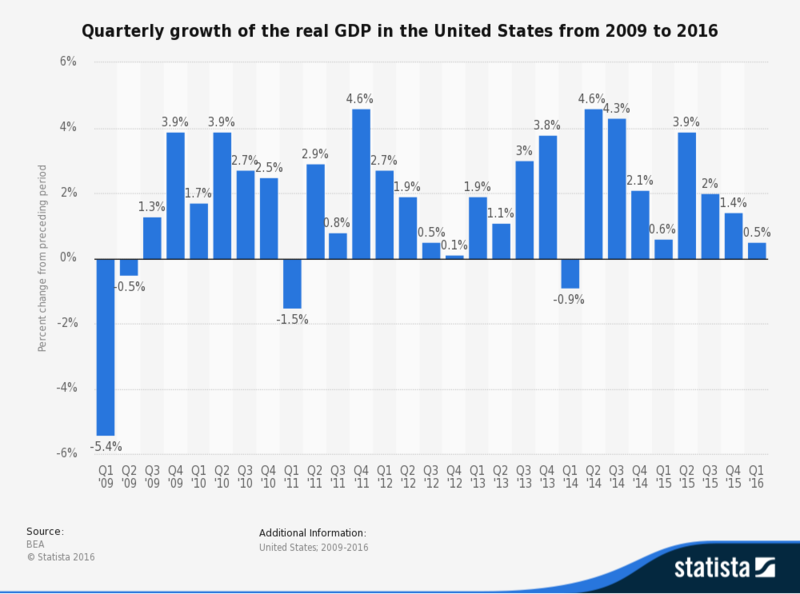 It’s true that U.S. macroeconomic policy has been anything but inert and complacent since the 2008-09 financial crisis, and great credit is due the Federal Reserve, the Obama Administration and Congress for stabilizing the economy, fostering a recovery and reducing the fiscal deficit to a more sustainable level. But the most important domestic reforms of the past twenty years – such as the Affordable Care Act, the Dodd-Frank financial reform, Leave No Child Behind, the Medicare prescription drug benefit and recent energy and climate rules – were neither aimed at nor had the effect of structurally adapting the economy to the challenges posed to American employment, production and living standards by technological change and globalization. While other countries, including our top industrial competitors in East Asia and Northern Europe, have been focused like a laser beam on their national economic development during the past few decades, U.S. economic policy has been distracted by three national crises and, to an even greater extent, the ideological overreactions each triggered. These serial distractions have caused us to take our eye off the ball of the government’s crucial role in facilitating strong, shared economic progress in a world in which production and capital are increasingly mobile and the global economy’s labor force has essentially doubled in less than two decades. Most recently, the financial crisis required enormous attention and resources during the first few years of the Obama Administration. The hostile reaction of Congressional Republicans to the stabilization policies of the Administration and the Federal Reserve extended this unavoidable distraction into virtual paralysis, turning back the clock thirty years on American discourse regarding the role of government in the economy and foreclosing any hope for legislation of major reforms even as fiscal space began to reopen. In the prior decade, the 9/11 attacks and to an even greater extent the ill-prepared intervention in Iraq inspired by neoconservative thinking consumed the attention and resources of the country. The Iraq War has cost over $2 trillion, a major opportunity cost representing an average of nearly $200 billion or about 40 percent of non-defense discretionary spending per year, on top of a similar amount spent on the Afghanistan conflict. Finally, the stagflation trauma of the late 1970s continues to dominate the mindset of most American policymakers and economists. Almost subliminally, we continue to fight this last war, which spawned not only the useful efficiency-enhancing deregulation of product and capital markets in the 1970s and early 1980s but also the explosion of fiscal deficits, the benign neglect of a grossly overvalued and deindustrializing dollar and the skewing of incentives in favor of capital over labor income during the Reagan years. The philosophical reverberations of that crisis persist in the form of an extremely narrow conception of structural reform. Most policymakers and economists today view structural economic policy in terms of measures to boost allocative efficiency and growth through macroeconomic discipline and competitive markets. There is little appreciation, as a previous generation of American economists and many of their foreign students had, of the equally important structural role that other kinds of economic institutions and policy incentives – in the areas of labor markets, education, corporate and investor governance, social protection, infrastructure, business and political ethics, competition, environmental sustainability and tax systems – can play in promoting an equitable and resilient pattern of growth. This overshooting of the pendulum in reaction to the 1970s has been baked into the professional culture of a generation of policymakers. It has been accentuated by the dominance of macroeconomists and financial market specialists in the ranks of chief economic advisers and finance ministries around the world, who carry with them biases about the primacy of these elements of policy, and by the dominance of lawyers in the ranks of trade ministries, whose own cultural tendency is to overemphasize the negotiation of market opening deals and underemphasize the role of the institutional enabling environment particularly in developing countries in shaping the extent to which such agreements boost domestic consumption and global aggregate demand. If our economy is in need of rebalancing today, it is in no small part due to these distractions and reflexes of the past generation. Popular frustration with the political establishment’s stewardship of the economy over the past generation is therefore neither irrational nor naïve; there is an essential validity to it. Although the private sector has been incredibly adaptive and dynamic during this period, U.S. economic policy has been uneven and buffeted by crisis in macroeconomic terms and thoroughly flat-footed in structural terms. It is not an overstatement to say that there has been no real strategy to address the economic trends driving the public’s anxiety, which have been evident and gathering force for some time. Distraction and philosophical path dependency have produced a legacy of complacency, an appearance of feet of clay in a world in which many of our trading partners have caught up to us in terms of living standards and industrial competitiveness, in part by being anything but complacent about global economic integration or captured by 1970s-inspired conservative doctrine. The seeds of the revolution in American economic policy we need to combat inequality and insecurity while strengthening growth can be found in the legacy of Theodore Roosevelt. A progressive Republican, independent and self-willed man of action, Roosevelt recast the American political landscape and set in motion a transformational process of reform across decades that, at root, made the economy work better for working people and reduced the excesses of the go-go financial capitalism and inequality of the early 20th century. "When I say that I am for the square deal, I mean not merely that I stand for fair play under the present rules of the game, but that I stand for having those rules changed so as to work for a more substantial equality of opportunity and of reward for equally good service." These are American civic values that transcend party affiliation and time. From trust-busting to environmental conservation to worker protection to the regulation public health and safety, his domestic policy program and those of multiple subsequent Democratic and Republican Administrations simultaneously advanced economic growth and social inclusion. They set the stage for a sustained expansion of the American middle class, whose accumulation of purchasing power was the locomotive that drove the country to economic superpower status. What has long been missing from both parties’ priorities, and this is at least as much a failing of their policy establishments as their elected officials, is a serious strategy capable of rallying all those interested in “changing the rules” (rebalancing incentives in key areas of structural economic policy) as necessary to overcome the obstacles to “equality of opportunity and of reward for equally good service” in today’s economy. American conservatives seem constitutionally unable to rise to this challenge because of the polarizing lens through which their doctrine views the role of government in the economy. Progressives, by contrast, see competitive markets and their institutional underpinnings as natural, even symbiotic, complements, not antagonists. If an economy can be thought of as a garden or farm whose ultimate yield is strong, broad-based and sustained progress in living standards, then sound macroeconomic conditions and vibrant competition represent the basic climatic conditions of sunlight and moisture. The institutional enabling environment (rules, policy incentives, administrative capacity) set largely by government in various areas of structural economic policy (e.g., education and training, labor markets, corporate governance, banking and capital markets, social protection, infrastructure, competition, business and political ethics, environment, consumer and investor protections, basic services, etc.) represent the nutrient mix in the soil. Just as soil quality influences the volume and consistency of crop yield, so the strength and mix of the institutional frameworks underlying a modern market economy influence the quality of its economic growth, i.e., the extent to which its benefits are widely diffused and sustained in the form of increased opportunity, income and quality of life. This pragmatic understanding of government’s role in the economy was learned the hard way after the financial crises and gross inequities of the early 20th century. It is the forgotten bipartisan Progressive legacy of the Teddy Roosevelt, Taft, Wilson, Franklin Delano Roosevelt, Truman, Eisenhower, Kennedy, Johnson and even Nixon Administrations, which cumulatively built a national institutional infrastructure across these areas of structural economic policy that contributed importantly to the high-growth, high-equity, low-risk performance of the U.S. economy in the post-war period. This institutional deepening rebalanced the growth model of our economy, making it simultaneously more inclusive, resilient and robust – a critically important lesson of American economic history that needs to be recalled from our national memory and reapplied to modern economic circumstances. In the early to mid-20th century, the economy was shifting rapidly from a rural agrarian to a metropolitan industrial footing. Economies of scale were achieved through mass, standardized production by and for the domestic economy and fueled by cheap fossil fuel energy. Work tended to be organized by large and stable employers paying an expanding array of employee benefits. Information was analogue and had to be channelled through dedicated media, educational and other institutions. Households tended to have a single, male breadwinner, while women were less educated, liberated and integrated into the workforce. The Square Deal and subsequent progressive institutional reforms of the 20th century, including particularly but by no means only the New Deal, were fashioned out of this context to support the creation of a large middle class through the establishment and diffusion of basic opportunity and security in such areas as education, infrastructure, pensions, housing, unemployment insurance, occupational safety and health. Today’s global information economy presents a different set of challenges to shared prosperity. Production is increasingly distributed and spatially dispersed across the world, a trend enabled by instantaneous, low-cost data transmission and communications as well as a more open international trade and investment regime. Digital and other technology is disrupting employment and business models in a steady succession of industries and service sectors, with the pace of disintermediation likely to accelerate through retail, travel, financial, legal, governmental and health services. Work is increasingly parcelled and distributed along the value chain, and entrepreneurs are facing lower barriers to entry particularly for the provision of many kinds of services. This more dynamic competitive environment is fragmenting the organization of work, forcing cost efficiencies of all sorts, including with respect to the payment of employee benefits and utilization of resources and materials. As robots automate more of industrial production and algorithms displace mid-level white collar services, the job market is placing a premium on advanced knowledge, creativity, flexibility and leisure- and aging-related local services – i.e., dimensions of work less conducive to automation. In this tougher labor market, households tend to have already maxed out their supply of labor, with two-breadwinner households now not just the norm but the imperative, and underemployment as much a function of skills and geographical mismatches as a lack of available jobs. Accordingly, a new Square Deal for the 21st century should aim to bolster the standard of living of the middle and working class by upgrading the institutional framework underpinning economic opportunity and security that was built in the last century so it corresponds better to today’s economic context. Secretary Clinton’s existing proposals go about half to two-thirds of the way toward rebalancing the economic incentives and rules necessary to strengthen the rate and breadth of progress in American living standards – toward a structural rather than incremental response to the challenge people perceive in 21st century globalization and technological disruption. Following is an integrated, budget-neutral set of major policy initiatives in three areas that could help her agenda travel the remaining distance. Articulated properly, the increased ambition of these proposals is no longer outside the realm of political feasibility after the game-changing 2016 primary season. Indeed, it could be politically additive in an electorate increasingly frustrated with Washington’s inaction and partisan jockeying. Priority One: Strengthen the skills, productivity, compensation and basic security of our economy’s most important resource, our people. Clinton’s early education, college education, minimum wage, child care and family leave proposals would go a long way toward strengthening worker productivity, compensation and security. However, there are two other big missing pieces of this puzzle in which the United States is an outlier among advanced nations and out of step with the dynamic nature of today’s more internationally integrated and technologically disruptive economic environment. Correction of these structural weaknesses in the U.S. labor market could be financed through the financial and corporate tax reform proposals outlined below. There is considerable pent-up political demand within the business community for the latter, which creates an opportunity (indeed responsibility) to do important new things on skilling and worker security, on the one hand, and climate change, on the other. The first missing piece we should address is the lack of investment in workforce skills. Among the countries in the Organization for Economic Cooperation and Development (OECD), America ranks second from the bottom with a mere one-sixth of the average level of financial support for training and other active labor market policies. The Workforce Innovation and Opportunity Act passed in 2014 modernized our framework for the governance and delivery of much of this assistance but did nothing to boost the inadequate level of funding for training (now about $2 billion). Similarly, although the Trade Adjustment Assistance (TAA) program was reauthorized and improved with the passage of trade negotiating authority last year, its training budget remains capped at $450 million. Moreover, the U.S. approach to vocational education and apprenticeships is particularly weak despite projections that by 2018 a third of all job vacancies will call for some post-secondary qualification but not necessarily that of a four-year college degree. The United States is desperately in need of a sufficiently funded general (as opposed to solely import-competition related) approach to supporting the ongoing skills development and adjustment of its workforce, something that the business and trade policy communities have understood for years but never taken seriously enough to support adequate financing. Funding for the acquisition and refreshment of workforce skills (dislocated worker training assistance, lifelong learning and vocational education, including apprenticeships) should be tripled, costing an additional $15 billion to $20 billion per year. A second priority should be to enhance workforce security. An estimated one third of the American workforce now relies on contract work for a substantial portion or all of their livelihood, and this proportion is growing as more industries and service sectors are disrupted and disintermediated by the digital economy. Most advanced OECD countries seek to maintain the flexibility of their workforce while avoiding a race to the bottom on worker security by requiring the proration of such benefits. This is a large and growing hole in the quality of life and level of human dignity within the American economy. We have an opportunity to address it as part of a comprehensive reform of corporate taxation (explained below) that would provide an offsetting benefit to companies in the form of a substantial reduction in the marginal corporate rate to levels more in line with the rest of the OECD. Specifically, as generally advocated by Sen. Mark Warner (D-VA) and outlined in a New America Foundation paper, employers with over 50 employees or independent contractors should be required (with an opt-in for smaller firms) to contribute at least $2 to $3 per hour of the value of part-time employee or contractor wages into a multi-employer-style benefits fund for coverage of retirement, workers compensation, health or unemployment benefits. Priority Two: Boost employment, labor productivity and wages by putting Wall Street in the service of Main Street through changes in investor and corporate governance, executive pay and tax policy. Clinton’s proposals on the next wave of financial reform would further strengthen the banking system, regulate high-frequency trading, create a tax preference for long-term capital gains and stimulate public-private infrastructure financing. But they do not yet measure up to her stated aspiration to “fix quarterly capitalism” and encourage a shift to long-term investment. Three ideas, however, could help achieve this goal. The first is for government to make a concerted push to encourage the use of long-term asset management contracts and related best practices by pension funds, insurance companies, philanthropic foundations and other fiduciaries. There is a contradiction at the heart of our capital markets, in which the long-term retirement and college savings of middle class American families are systematically transformed into short-term trading behaviour that distorts corporate decision making in ways that undercut their very own job security and productivity by undermining the long-term value creation and competitiveness of the companies in which they work. The good news is that awareness of the problem has grown, and principles and best practice frameworks for how governments and funds can address this issue have been developed. In particular, if the big public, union and corporate pension funds began to hire and evaluate asset management firms over at least a 3 to 5 year period (as their underlying liability structure would logically suggest they should do), then we would see a cascading behavioral effect through the entire investment value chain. In an industry obsessed with benchmarking against common practice, the actors along the value chain have a hard time moving unless a large group of them, and particularly those at the top of the chain (asset owners) do so at once, thereby resetting standard perceptions of what constitutes good governance. The next President should direct the Secretaries of the Treasury and Labor and invite the Chairman of the Securities and Exchange Commission to work jointly on a strategy of direct, high-level engagement with the institutional investor and asset management communities to catalyze this systemic shift in behavior. Second, the United States should institute a modest equity securities transactions tax. Eight G20 countries – specifically China, India, Indonesia, Italy, France South Africa, South Korea and the United Kingdom – impose financial transactions taxes, usually on secondary market equity sales in the range of 0.1% to 0.5%. And ten European Union countries are working on a proposal that has been supported by German Chancellor Angela Merkel, among other leaders, for implementation in 2017 or more likely 2018. It would be modestly helpful to the goal of incentivizing longer term shareholding by otherwise tax-exempt institutional investors if the frictional cost of frequent share turnover were to rise, not to the point of draining market liquidity (which a tax at the level proposed would not) but of making fiduciaries think twice. Accounting for over a third of U.S. equity ownership and typically representing the largest shareholders in major companies, these investors are not affected by Clinton’s long-term capital gains tax preference proposal. Imposing a transfer tax of 0.1% on secondary market transactions of U.S. corporation equities and equity option premiums and of 0.01% on the notional value of U.S. equity futures and swaps would raise about $25 billion per year and reinforce a shift in the time horizon considered by institutional investors and the asset management industry. Third, the tax deduction for performance-based (stock) compensation should be capped at $1 million a year, closing a longstanding loophole in the existing $1 million deduction limitation for cash compensation to top executives which would remain separately in effect. Not only would this raise revenues of $3 billion to $4 billion per year, it would reduce the temptation for executives to boost their stock prices through short-term measures that may not be in the best long-term interests of the company’s shareholders and stakeholders. Priority Three: Strengthen the foundations of our quality of life and kids’ prosperity and well-being by upgrading the economic and environmental efficiency of our transport, water and sanitation infrastructure as well as insuring against the worst risks of climate change. The Secretary’s infrastructure financing proposals and President Obama’s recent targeted regulatory approach to climate action are very significant and encouraging. But there are two additional initiatives that would elevate and lend a certain moral imperative to her presidency, tapping into the universal desire to leave the world a better and safer place for one’s children and grandchildren. The first would take the Obama-Biden Administration’s health and clean energy research initiatives to a new level by doubling federal funding on the cancer and Alzheimers epidemics, on the one hand, and alternative energy, on the other, with the $10 billion per year in surplus funds generated by the two tax proposals outlined above. The second would recognize that the fight against climate change requires a two-track strategy: not only intensive development of new technology capable of replacing fossil fuels over the long term but also widespread deployment of existing clean technologies in order to achieve a peak and then accelerating decline in global emissions in the next 5 to 10 years, as advisedby the scientific community. We need a systemic lever to complement the emerging sector-specific and subnational ones in the United States, and a political window is opening to do so via a carbon tax within the context of a revenue-neutral and politically balanced reform of the corporate income tax, carefully configured to be border adjustable under the rules of the World Trade Organization (WTO). Specifically, the next President should work with leaders on Capitol Hill on a balanced, revenue-neutral reform of the corporate income tax that would include a major reduction in the marginal corporate rate from 35% to potentially as low as 25% (the OECD average) in combination with a border-adjustable industrial externality (or “sustainability”) excise tax, full expensing of certain highly energy-efficient capital investments and requirement for contributions of $2 to $3 per hour of the value of part-time and contract (1099) wages to the new multi-employer plan benefit plans described above for firms with 50 or more employees or contract workers. The Treasury Department would establish a schedule of excise tax rates for a finite number of fossil-fuel intensive industrial products based on the industry-wide average level of carbon embedded in each product on the list at a level corresponding to $25 per ton. These rates would be applied in uniform fashion to the business-to-business (B2B) sale of all such corresponding products whether domestic or imported and rebated on exports. While current international rules do not permit the border adjustment of carbon taxes that are applied at different rates to the same class of products as a function of their carbon content, they do for an excise tax that is applied at the same rate on a non-discriminatory basis to all “like” products. It does not matter what the policy motive was for imposing the tax; what is determinative is whether it is a tax on a product (as opposed to a process input) and applied domestically and internationally on a non-discriminatory basis. The Treasury Department would also be directed to designate a list of highly energy-efficient capital equipment that would qualify for full expensing (immediate depreciation) based on the “Top Runner” approach developed by the Government of Japan but augmented through consultations with the business and environmental communities aimed at extending the list to additional industrial equipment. This restructuring of corporate taxation would likely generate a sizable net tax reduction for the great majority of firms (including particularly small businesses) and leave most others no worse off. This is partly because the tax base is being broadened to include a substantial share of industrial imports that are not now covered by any federal taxation. Net losers will likely be concentrated either on the coal, oil, gas and cement industries and downstream industries that are disproportionate users of their products (although the international competitive effects will be offset by the border adjustability) or firms that have particularly large contract workforces and are not paying benefits. Even in these cases, the effect is likely to be diffused somewhat by the ability of these firms to pass on some of the additional costs to their customers. Between 10% and 15% of the carbon tax revenues would be dedicated to assistance of lower-income households and communities most dependent on fossil fuel production, including coal-dependent regions. First, by dropping the marginal rate to the OECD norm, it would remove a key incentive for companies to shift their headquarters and production overseas, including through the tax-inversion international mergers of recent notoriety, but without providing a net reduction in overall U.S. corporate taxation. Second, it would put a price on carbon – the holy grail of climate policy – in what appears to be the least costly available way in political terms, i.e., via a “business-to-business” (B2B) tax not visible to consumers on a limited number of the most relevant products in the context of a revenue-neutral reform as well as via a positive incentive in the form of a reduction in the installed cost of the most efficient industrial equipment. This politically surgical but economically scalable carrot-and-stick approach would substantially accelerate the decarbonization of the U.S. economy. And by ratcheting up the carbon price-equivalent of the excise tax over time to encourage ongoing improvement in efficiency while keeping revenue from the tax roughly constant, it might even render the power plant regulations unnecessary over time, which would be another political selling point to the business community. Further, the approximately$100 billion per year generated by this fee would finance not only the other elements of this corporate tax reform but approximately 3% of it could also financea special adjustment assistance package for coal- and oil-dependent communities and their workforces going well beyond existing federal programs. Third, it would provide a significant boost to entrepreneurship and small business, which would experience a big tax cut, since firms with fewer than 50 employees and contract workers would be exempt from the industrial excise tax and pro-rata worker benefit requirement but qualify for the major marginal rate reduction. Fourth, the multi-employer benefit plan requirement for contract employees would plug one of the worst and most rapidly growing holes in the U.S. safety net without requiring a new federal spending program. Fifth, this reform would for the first time make a significant U.S. tax border adjustable (imposed on imports and rebated on exports), partially making up for the competitive disadvantage of the United States not having a value-added tax (VAT), which is border adjustable and employed by virtually all of our major trading partners and thus perceived by industry and labor to place our products at a disadvantage in international trade. Yes, economists argue that exchange rates will adjust and wash out this effect, but exchange rate movements are dominated even over extended periods by a host of other factors, so the help to our tradable goods industries (think cars, airplanes, construction and farm equipment, for example) could be significant. If the United States enacted this kind of carbon-related industrial excise tax regime, it would likely catalyze a new wave of constructive international climate diplomacy. Countries with cap-and-trade schemes, which are neither border adjustable under current rules nor currently meaningful enough to affect behavior, might well react to the legally smarter and environmentally more effective nature of this tax approach by moving to emulate and perhaps even align with it. That would create the basis for what the world really needs: a coordinated and progressively meaningful approach to carbon pricing across major industrial economies. Thus, a win-win-win realignment of incentives within the economy to yield stronger growth with greater equity and lower environmental risk is technically, fiscally and politically feasible. The three sets of structural reforms outlined above, in combination with the related proposals already proposed by Secretary Clinton, would rebalance the economy in several important and long overdue respects, including the creation of a comprehensive and adequately financed framework for boosting workforce skills, incomes and security that truly puts investment in people at the center of the country’s economic strategy. This agenda would open a new chapter in post-crisis financial system reform, driving a fundamental shift of incentives within investment funds and corporate executive teams to refocus them on job-generating and productivity-enhancing long-term capital formation in the real economy as opposed to quick-buck strategies of cutting costs to the bone or financial engineering. It would also significantly reduce existing tax and tariff incentives for the offshoring of industrial production and related high value-added services jobs and provide a big boost to innovation and small-scale entrepreneurship through a substantial cut in small business taxes and increase in basic research and development in fields with enormous future commercial potential. Moreover, this program would lessen the strain on family finances and create a corresponding boost to aggregate demand through a strengthening of the federal and corporate “social contract” support structure for education, retraining, family leave, retirement saving and unemployment insurance coverage. And, it would set a “price” on carbon targeted to where it would make the most difference in the fight against climate change. Just as the progressive wave of structural economic reforms beginning with Teddy Roosevelt’s Square Deal significantly reduced both pre- and post-transfer inequality in the United States during the middle of the 20thcentury, the more comprehensive set of reforms outlined here represents a strategy to mobilize a full-court-press on inequality in the 21st Century largely via “pre-distribution” – changes in the way the economy operates – rather than redistribution. At the same time, it represents a growth strategy with both short- and long-term elements – a new approach to boosting the rate as well as resilience of growth by the strengthening the economy’s fundamental attributes, which everybody agreed at the time was a key learning from the financial crisis. These are the elements of a more sufficient response to the erosion of public confidence in the country’s economic future and engagement in the world – of the policy revolution that is required to respond credibly and constructively to the accumulating economic frustration of many Americans. A serious effort like this to rebalance the economy’s growth model, making it simultaneously more inclusive and robust, could also be a tonic for our political system, offering the best conceivable hope for reversing Washington’s drift into polarization and paralysis. It would offer a core, compelling purpose for the next Administration – a comprehensive, structural upgrade of the American economy aimed at increasing the payoff to broad living standards from growth and prioritizing the real economy – thereby conveying a larger, clearer sense of mission and call to action. By communicating a fundamental change in course for the country, it would give people of all stripes and generations (workers, entrepreneurs, mothers, seniors, Millennials) a better reason than identity politics or their own pet concern to support a new president’s effort to lead Washington out of its gridlock on these critical challenges. Invoking Theodore Roosevelt, perhaps by referring to such a program as a “Square Deal for the 21st Century” – or a “Real Deal” to prioritize the “Real Economy” – could help by conveying the historic potential of and transpartisan precedent for such an effort. Because of the distractions and doctrinal cul-de-sac of the past generation, much of our economy’s institutional support structure for shared, sustainable progress has deteriorated or been overtaken by changes in the economy. The recent improvement in the country’s finances and disruption in its politics have created a once-in-a-generation opportunity to make the necessary repairs and upgrades and, in so doing, assemble a dominant coalition of Democratic progressives and economically results-oriented Independents and erstwhile Republicans not unlike the one that FDR mobilized following the bust of the country’s last Gilded Age, shifting and enlarging the country’s political center of gravity in the process. This is the kind of shift that could also finally make serious reform of America’s campaign finance and voter registration practices possible, the political “revolution” most needed to fully enfranchise ordinary Americans and restore their trust in our democratic institutions. Editor’s note: This piece is adapted from an extended version, available here. This article is published in collaboration with Washington Monthly.